Talbot Village is located on the southern boundary of London. Minutes north of Lambeth. 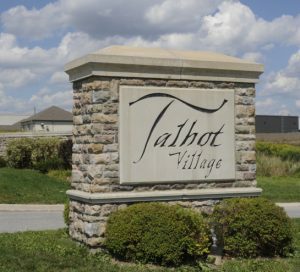 It is a relatively new subdivision featuring apartment buildings, condos, and a mixture of executive and mid-range detached housing. The Talbot Village Wetland, which is located in the centre of the development, offers something for nature lovers. This neighbourhood is close to the 401 and the main centre of London. It also features a few plazas with bards, restaurants, and any stores you really need.